What Makes Bridlington the Best Place to Settle Down? Bridlington is a fantastic seaside town, loved by the many thousands who currently reside there. People from all over the region come here to enjoy the warm summer weather. But Bridlington isn’t just a summer town, it’s an amazing place throughout the year. And you’ll experience that if you choose to live here. Is that potentially on the cards for you? We can’t recommend living in Bridlington enough - here’s a short guide as to why that is. For many, living by the seaside is living the dream. Waking up every morning to the sounds of the water, and having access to nice, sandy beaches any time you like is many people’s idea of bliss. Sure, it can get a bit touristy in the summertime. Especially when it’s really hot. But that holiday atmosphere comes without having to leave home. Bridlington boasts two beautiful beaches, as well as all the typical seaside attractions you would expect - including arcades, funfairs and donkey rides. If this sounds like your idea of a good time, then buying a house and settling down in Bridlington could be for you. 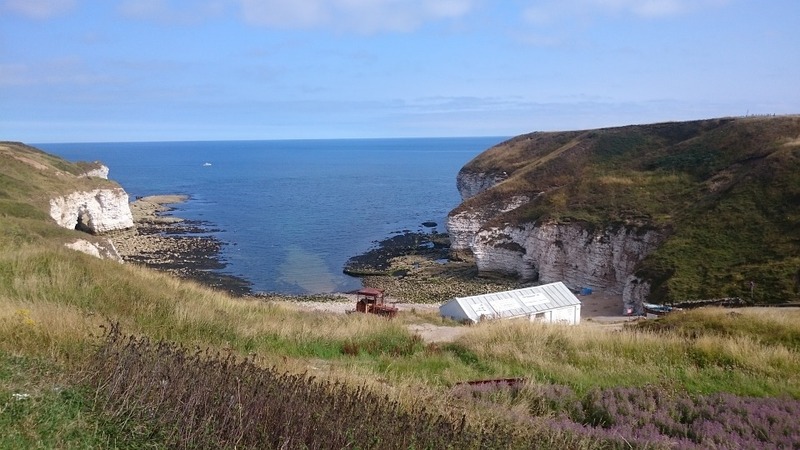 If you’re into living a more adventurous lifestyle, then Bridlington has plenty to offer. Whilst many prefer to simply sit and relax on the beach, the more outdoorsy types will enjoy the many coastal walks and hiking trails found here. And there are plenty of cycling routes, if you fancy yourself as a bit of a biker. In Bridlington, water sports are also a popular activity - although this can be heavily dependant on the time of year. You can experience kayaking, coasteering, raft building, and many other fun things sure to get your adrenaline pumping! Bridlington is a very family-friendly place. As we’ve already discussed, there are lots of kid-friendly activities in this town, particularly in the summer. Children particularly love sailing out on the sea - and they can even do so in a pirate ship. But kids enjoy living here throughout the year. If the weather’s bad, they simply visit the local cinema or bowling alley. And for parents - the most important thing to note is that Bridlington has good quality schools, for children of all ages. Bridlington has everything a family could want. That’s why so many families choose to live here. There’s Lots of Good, Affordable Housing Finding the perfect place to live in Bridlington is relatively easy. First of all, there’s lots of different options. You can choose to live right by the coast, or somewhere a little inland. And there’s something for every budget too. Whether you want a simple, modest flat - or a five bedroom detached house - you can find either in Bridlington. Whether you’re renting or buying, Hunters can help find a suitable property for you and your family. Our local branch has plenty of experience in the area. And the team is dedicated to providing you with an excellent service. You can visit us at 20 Prospect Street. Or, give the sales team a call on 01262 674252.